Did you know that Netflix has exercise videos? How did I not discover this earlier?! I seriously ♥ me some exercise videos. The first time I enjoyed yoga was with a video. I’d done yoga a few times before then, my mom taught Hatha when I was a kid and my sister went to Kundalini classes when we were in high school but the Kathy Smith and Rod Stryker VHS that I borrowed from my mom was what got me hooked on the stuff. A few years ago I updated my copy to a DVD and although Kathy’s outfit is a little outdated I still find this to be a great practice. Over the years my exercise DVD collection has grown by a couple a year. 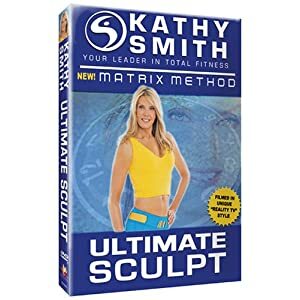 When I lived in Peru this Kathy Smith video became a staple in my life and I after doing it dozens of times I felt like I started to get to know the “models”. This is a good, solid full body, low impact workout with a bit of cardio and plenty of strength training. I like that the moves are non-traditional but I would get hella bored if I did it more than once a week. 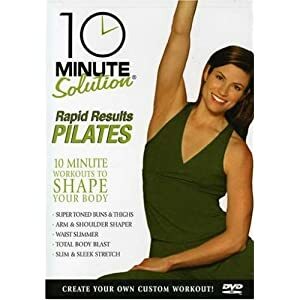 I am a huge fan of short workouts on video, especially when it’s Pilates or strength training. There have been many times when I convinced myself to “just do one 10 minute video” and ended up exercising for at least a half an hour because it’s easier sometimes, mentally, when it’s broken down into blocks like that. Some of my favorites come from 10 Minute Solutions. I love using the ball in my workouts but I have a hard time being super creative on my own. This workout is awesome! I was surprised when I dug it out again recently and did the abs and arms sections to find myself a little sore the next day! As a Pilates instructor I am pretty decent at putting together workouts but I still like to occasionally work out with a video, there’s just something about having someone else telling me what to do that makes me work harder. 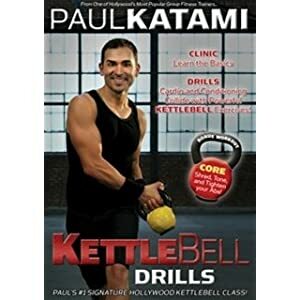 Kettlebell workouts are another place where I rely on videos to push me and teach me a thing or two. Jillian’s workout is not exactly traditional for kettlebells but the video offers two full body and challenging workouts that are the right length for me to feel like “enough!” (30 minutes). This workout is long and hard so I don’t do it that often but I always feel like I accomplished something when I finish. Maybe it’s not actually that long or hard but the drills last about 15 seconds longer than I would go on my own and there’s a lot of repetition. One of the things I love about videos is what an incredible value they are. I’ve owned some of mine for close to 10 years and down them dozens and dozens of times. 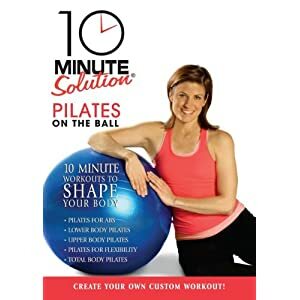 I usually order from Collage Video, they have a great selection, lots of reviews, and little video clips to preview the workouts but while looking for images for this post I discovered that Amazon has really great prices on workout videos (of course, they have EVERYTHING! I keep meaning to delete my credit card info from my account to make spontaneous shopping a little harder…). I love live classes, of course, but they are often either too long or at the wrong time for me. I would much rather workout for an hour with strength training, cardio, and Pilates dvd’s than to spend an hour in one class at the gym. As for yoga, nothing I’ve found beats Yoga Glo. I am happy to pay $18 a month for unlimited access to yoga videos of all styles and lengths. On most days I like to practice yoga in addition to other activity so 20-30 minutes is just right. Do you ever use exercise videos? What are your favorite titles? I cannot praise working out at home to videos enough (remember, I teach at the gym so I am also so grateful to those people who go the classes regularly! ), if you’ve never tried it, maybe 2012 is the year! P.S. I have no financial incentive what-so-ever to write about Amazon, these titles, Collage Video, Netflix, or Yoga Glo, just in case you were wondering.